According to the Substance Abuse and Mental Health Services Administration (SAMHSA), 22% of young people ages 18 to 25 in 2015 participated in illegal drug use, this population misused pain relievers, tranquilizers, and stimulants more than any other age group (Bose et al., 2016). And while they are recognized by society as adults, some statistics indicate they are not yet operating as adults. As of 2016, data from the U.S. Census Bureau shows that more 18-25 year olds live with their parents rather than with a spouse or partner. 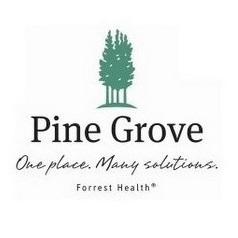 This prolonging of adolescence or emerging adulthood presents a unique array of circumstances when seeking treatment for a substance use disorder, and Pine Grove's Next Step program is here to help. The Next Step program at Pine Grove Behavioral Health & Addiction Services provides comprehensive treatment of substance use disorders for men ages 18 to 40 years old. Patients live in a therapeutic community that provides structure and promotes accountability, honesty, inclusion, respect and responsibility. Next Step has both residential and partial hospitalization levels of care with lengths of stay varying from 30, 60, to 90 days and provides an environment where men can find a way to live a life of recovery while gaining skills necessary in establishing adulthood. The Next Step program provides a solid plan of action to put in place skills needed for living a substance free life. The curriculum at Next Step includes the latest research on addiction, tasks of recovery, and brain health while instilling the principles of the 12-step program. Daily activities include morning meditation, therapeutic community with staff and patients, psychotherapy groups, primary addiction groups, psycho-educational lectures, recovery skills groups, specialty groups, as well as AA and NA 12-step meetings. Additionally, the treatment team at Pine Grove includes psychiatrists and other mental health care professionals equipped to meet the needs of patients needing psychiatric or dual diagnosis treatment. Due to a prolonged adolescence, people who use alcohol and drugs often do not learn a number of necessary life skills. These skills may include vocational planning, going to school, getting a job, paying bills, or establishing and maintaining meaningful relationships. Frequently even more basic living skills such as self-care and grooming within this group are often ignored. The Next Step program helps this population acquire basic life and social skills needed to function as a productive member of society, the program also includes ancillary treatments such as REACH, yoga, and exercise to promote teamwork and positive thinking. At Next Step patients uncover significant factors that contributed to their alcohol and/or drug use and discover healthy coping skills, spiritual principles, motivation for change and a healthy lifestyle that enables them to establish and maintain recovery from the disease of addiction. Our ultimate goal is to help our patients implement a wholesome foundation on which to build a lifestyle conducive to recovery and to embrace the fact that addiction does not have to continue to consume their lives. Bose, J., Hedden, S. L., Lipari, R. N., & Park-Lee, E. (September 2016). Key Substance Use and Mental Health Indicators in the United States: Results from the 2015 National Survey on Drug Use and Health.